Yesterday, they prepped the walls, repairs and primer which dried over night. Dan.......Sounds like your painter is doing a good job. Looking forward to see the final results. Pictures from newly painted living room, hallway , doors, ceiling etc. paint was part of historical collection, period correct from 1910 to 1920 as this house was built in 1910. Original doors and windows. Last edited by miatadan; 10-16-2018 at 10:15 PM. Also think McIntosh lettering,logos etc lit in green will go well in this room. I love the style of houses from that era. It will look even better when you get your system set up in there! Great music room, JDandy! 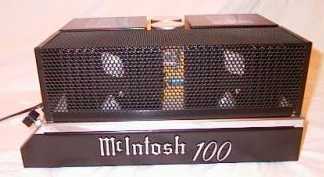 Did you have some of the stuff with Mac logos custom made? Bill.......Thank you for the compliment. I did the McIntosh logos on the amp stands myself. I used two amplifier badges for the McIntosh MC100, then trimmed off the 100 part of the badge with a Dremel tool.